First of all, your child should have a very clear grasp of basic math before they even start using a calculator. They should be able to do additions, subtractions, multiplications, and more, without much of a problem. 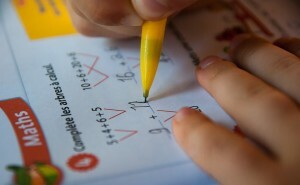 Before moving to a calculator, your child should also employ other tools to calculate their math problems. An abacus or simple pencil and paper should work for them. You should also have a conversation with your child about the calculator. Teach them to be responsible with it and let them know there are cases in which they won't be able to rely on it. There are different types of calculators, some of which are used in more advanced math levels. Right now, you should provide your child with a standard calculator. Be sure to teach them about its buttons and how they should use them. Lastly, let your child know when to use the calculator. For example, they can use it once they've already worked on a problem on their own, to verify the answer they came up with. Call The Tutoring Center, The Woodlands TX at (281) 602-3839 to enroll your child in one-to-one math tutoring in The Woodlands TX.